Oh, ancient grains, how I love experimenting with thee. If you’re new to this small but mighty grain that hails all the way from East Africa, then this is the perfect introductory recipe for you. 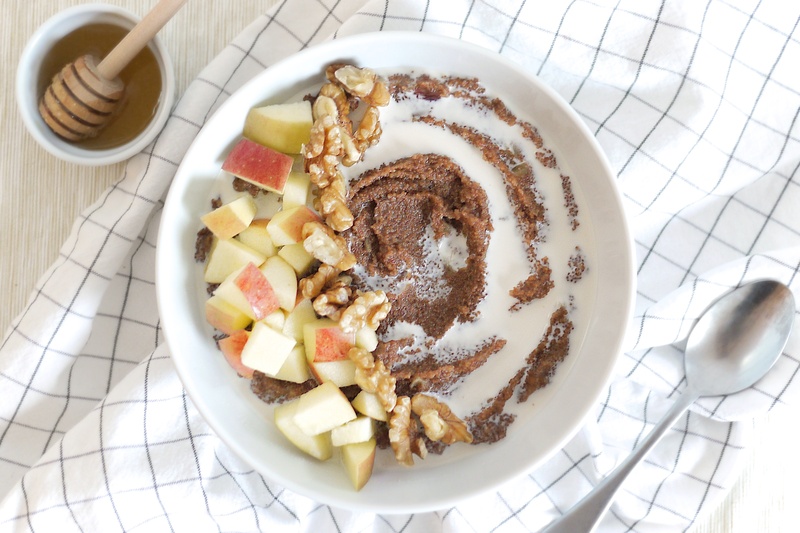 Though teff has been a staple grain in countries like Ethiopia for thousands of years, it’s now enjoying a rise in popularity here in the Western world. As more of us are looking to reduce or eliminate gluten, wheat or other white, refined grains – ancient whole grains like teff, millet, quinoa (really a seed) and amaranth become star players in our pantries. 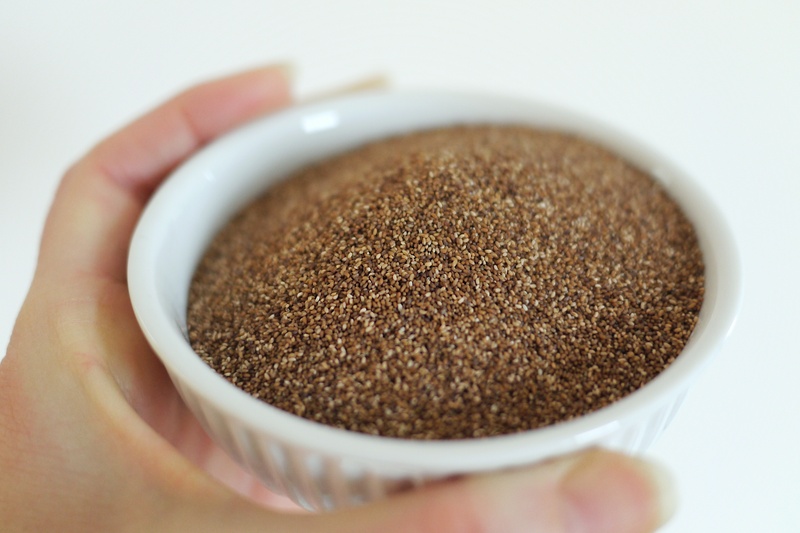 We also want more nutritional bang for our buck, which is why teff is so great. In fact, teff is also one of the most nutritionally impressive grains out there. It’s high in calcium, iron and protein and also loaded with B vitamins. It’s also high in resistant starch, which means it’s helps balance blood sugar and improves colon health…all good stuff for managing weight. It’s got a mild, nutty flavour, kinda like quinoa. And, much like quinoa, you can prepare it by, simply, boiling it in water for 15-20 minutes. It has a porridge-like consistency (like cream-of-wheat or polenta) so you can use it in place of oatmeal …but it also goes well in soups and stews and in baked goods. Use organic ingredients when possible. Let pan cool slightly before adding water to toasted teff grains (otherwise the water might boil and splash up). Add dates, cinnamon too and stir well to combine. 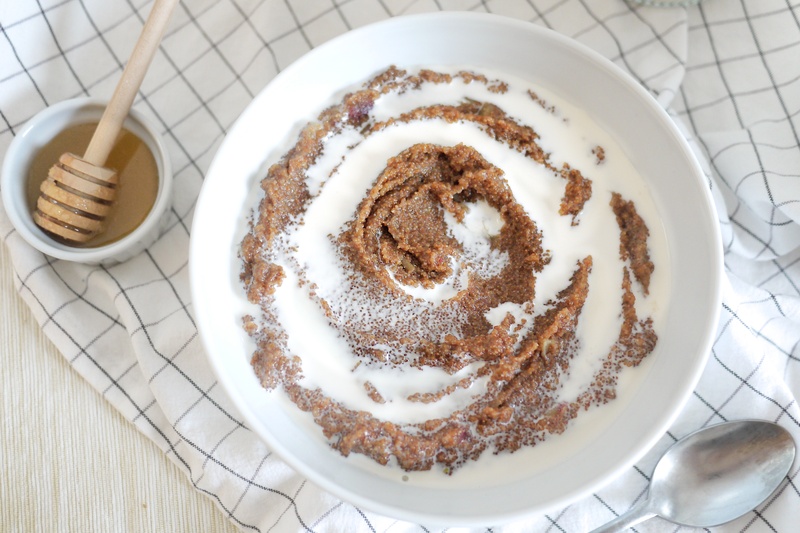 Serve immediately into bowls, top with nut milk, fruit and nuts, drizzle of maple syrup and a sprinkle of cinnamon. Like any bowl of porridge or oatmeal, once you get the cooking method and your preferred consistency down, you can get really creative with toppings. I kept it simple here with apples and nuts, but you can add berries, coconut, seeds, cacao, nut butters. And, just like polenta, you can jazz it up with savoury ingredients too like herbs and spices, onions, garlic, green veggies, mushrooms etc. Have fun and post up your creations to social media so I can see! 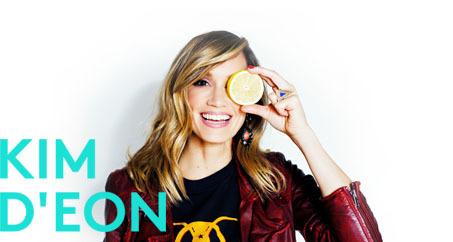 Tag me @kimdeoncom to let me know how it went.